The one dinosaur that comes to our mind when we think of Japan is the Godzilla, the mythic creature that wreaks havoc every now and then on this city. In the movies, the Godzilla is shown emerging from the depths of the ocean waters, and making its way towards the city. However, that’s only in the movies. But talking of the real world, there actually was a dinosaur that used to roam the area of what later came to be known as Japan. And just like the Godzilla, it also used to spend its time under the water. The only difference: it existed in the late Cretaceous period. Around eighty seven million years ago. The Futabasaurus, was a theropod dinosaur and a tyrannosaurid. This bipedal meat-eater, had a large head, long legs, short arms and a stiff pointed tail. It dates from the late Cretaceous era. It was around seven meters long and weighed around five tons. 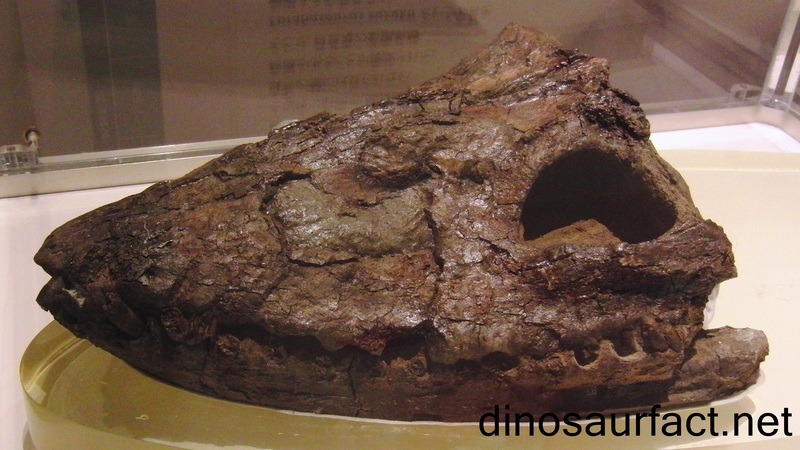 The Futabasaurus eye sockets and nostrils were placed at a great distance from one another. This was probably, so that the animal, could keep its nostrils out to breathe while hunting for its prey. The name “Futabasaurus” is Greek for "Futaba lizard", and is pronounced as “FOO-tah-bah-SORE-us”. The first archosaurian found in Japan, Futabasaurus is believed be a typical member of the breed, and one of its largest as well. 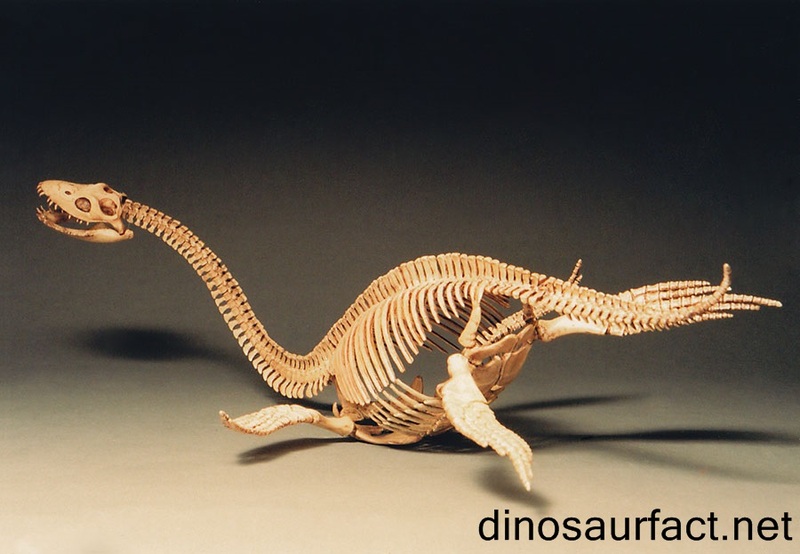 Just like the Elasmosaurus, the Futabasaurus had an exceptionally long neck. Many believe, that continuous hunting by the pre-historic sharks was a prime factor behind their extinction. The Futabasaurus, had a relatively longer upper arm, and slim thigh bones. All that we know about the Futabasaurus, comes solely from a partial shin bone discovered within the Coniacian-age Ashizawa Formation of the Futaba cluster. The name Futabasaurus, was coined by David Lambert in the year 1990 as a conversion from the Japanese nickname for an unidentified theropod, "Futaba-ryu". It is attainable that Futabasaurus is in fact Tyrannosaurus bataar, the meat eater from Cretaceous China. In a tough and a tricky situation, the sheer length of the neck might’ve helped the reptilian in murky waters near the shore. The long neck placed the reptile’s brain, mouth and sensory organs well before its body. This neck formation must’ve made it virtually impossible for any unsuspecting fish, to look out for the larger body, hidden below the neck. With this threatening profile hidden, the reptilian must’ve had lots of time to attack. The Futabasaurus was discovered in the year 1968 by fossil-hunting high school student Tadashi Suzuki who’d found it by a riverside, close to his residence in Fukushima Prefecture. An oversized portion of a largely articulated skeleton was recovered from a Late Cretaceous Futaba cluster later on. Arranged across the long jaws and slightly larger towards the ends they'd have offered an intensive space for prey capture, quite like some “ornithocheirid” pterosaurs that were thought to be dedicated hunters of fish. These marine dwellers were fast and were agile underwater acrobats, with sharp eyes custom-made for spying on tiny prey. Long, slender jaws stuffed with thirty to forty sharp teeth in a single row allowed the Futabasaurus to grab its prey without cutting it. Instead, the captured prey was consumed in its entirety. While superficially looking like Tanystropheus, Futabasaurus seemed to be exceptionally suited for aquatic chase. Key proof of this, is the fact, that the legs weren't very developed, as compared to the other land dwelling Protorosaurs. An unusual creature whose body was overshadowed by its long, skinny neck and tail, Futabasaurus swam with the help of its flippers. The Futabasaurus was a carnivorous hunter, that used its long neck to induce unsuspecting preys before they could sense its presence. A swift flick of the neck may have caught them short. However, it’s tiny head, restricted the amount of what it was able to eat. Futabasaurus, spent all its time in the vicinity of water, usually cruising coastal waters for schools of fish. Theories also propose, that It might’ve often dived all the way down to the deepest depths of the waters, to seek out rounded pebbles. In its stomach, these rounded pebbles helped in digestion and provided ballast. The Futabasaurus covered long distances for the purpose of mating and in search of breeding grounds. There's also substantial proof of it giving birth to young ones whom it reared till they were old and strong enough to take care of themselves. The Futabasaurus was distinguished by its exceptionally long neck. This 20 to 30 feet-long Archosaur had more vertebrae than all the earlier members of the breed. 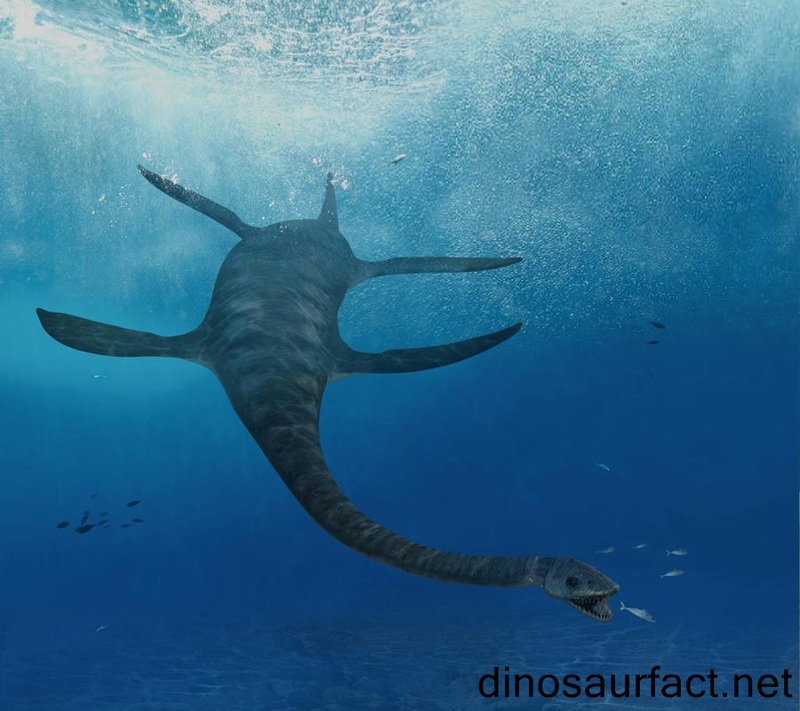 This uncommon feature has led to some disagreement regarding the way Futabasaurus searched for fish: some paleontologists assume that it bent its head sideways around its body, whereas others believe this marine craniate swam on the surface, holding its head high on top of the water to scope out prey. Futabasaurus, in all probability, wasn't a quick swimmer. Not that it required speed if it used to employ the stalking technique to approach its prey from down below.